Zimbabwe’s First Lady Hands Self Over To Police After Assaulting A Woman. 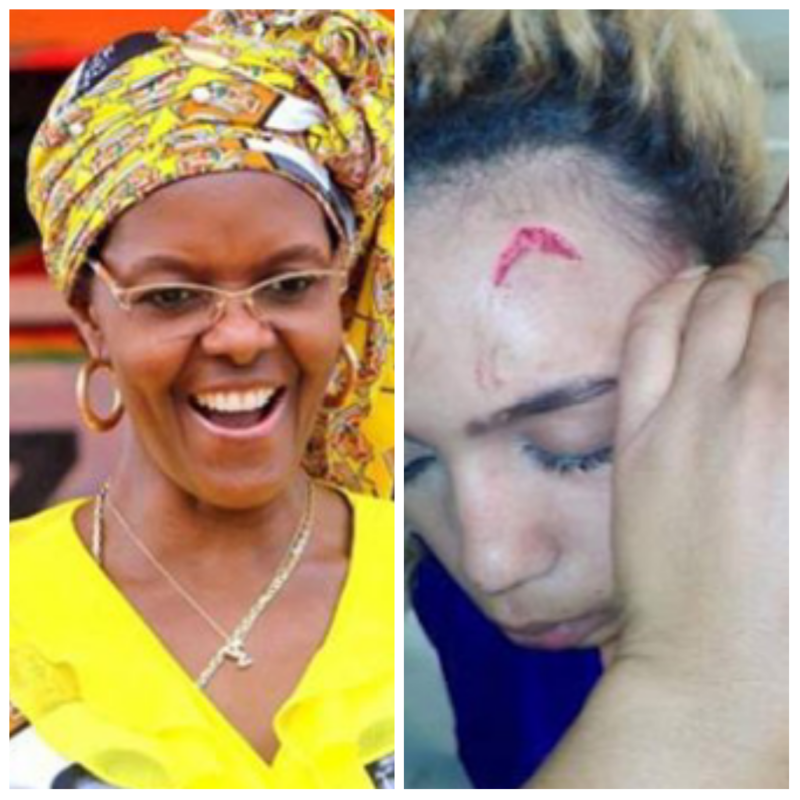 Grace Mugabe, Zimbabwe’s first lady, has handed herself over to South African Police after assaulting a woman at a Johannesburg hotel, Police Minister Fikile Mbalula, said on Tuesday. The 52-year-old wife of Zimbabwean President Robert Mugabe is in South Africa to seek medical treatment for an ankle injury sustained in a car accident, the website News24, reported. The website identified Mrs. Mugabe’s victim as model Gabriella Engels, 20. Engels told the website she was visiting Mrs. Mugabe’s two sons at a hotel in Johannesburg’s upmarket Sandton neighbourhood late on Sunday. “When Grace entered I had no idea who she was. She walked in with an extension cord and just started beating me with it,’’ Engels was quoted as saying. The model said Mrs. Mugabe accused her of living with her sons. Gauteng province’s top security official Sizakele Nkosi-Malobane, said she was “deeply appalled and devastated’’ by reports that “people of Grace’s caliber’’ should exhibit such behaviour. 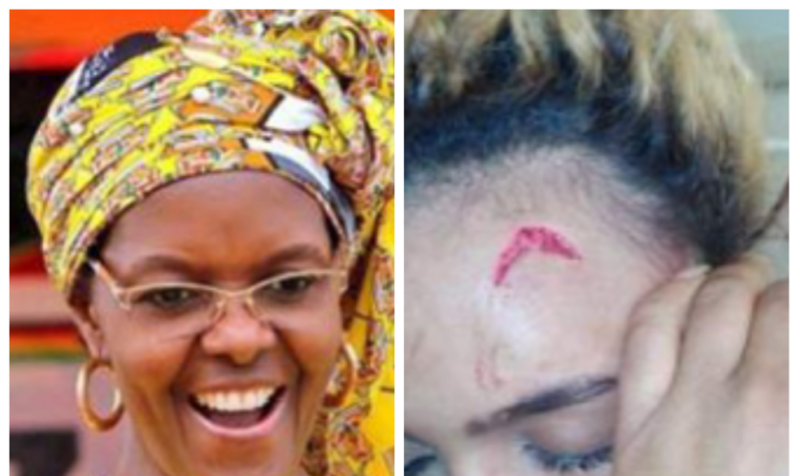 Nkosi-Malobane’s spokesperson Busaphi Nxumalo, forwarded to dpa photographs of a young woman with a severe head wound, saying she was the one Mrs. Mugabe attacked. Reports said that diplomatic immunity would not protect Mrs. Mugabe, because she was in South Africa privately. Mbalula said she would soon appear in court. Grace Mugabe is tipped as one of the likely successors to her husband, 93, who has ruled the southern African country since 1980.